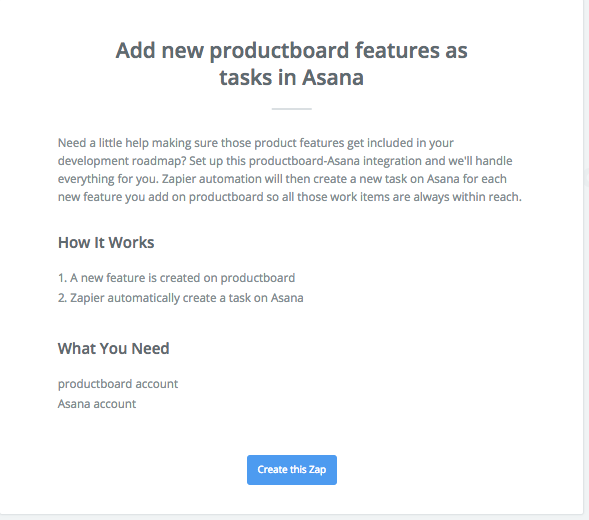 Push or pull features into productboard with Zapier. Asana is a great project management tool that teams of all sizes rely on to keep track on tasks. 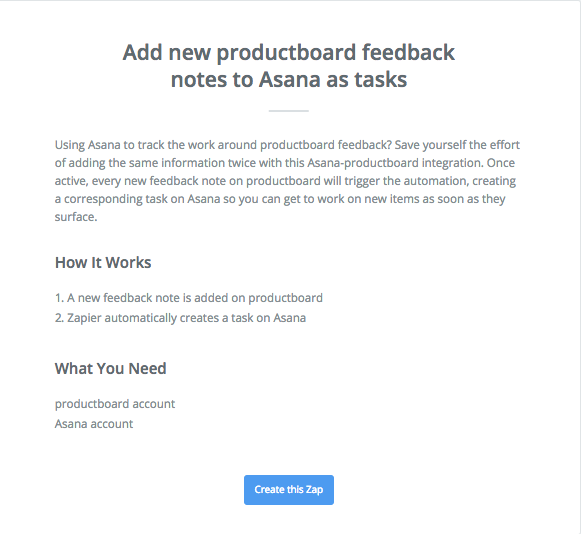 Hopefully soon productboard will have subtasks for our feature ideas but for now, push your productboard features or notes to Asana as tasks! You can get started with this "ready-made" zap. To get started, select the link below to start setting up your Zaps. We support OAuth, so there's no need to mess around with API Keys!